Call us today to schedule a deep cleaning for your Charlotte home or business that will exceed your expectations. There are several things in your Charlotte, North Carolina home that may not get attention on every cleaning day that our professionals at Fiv5 Star Cleaning can take care of for you. Whether you use our cleaning services on a regular basis and want a deep cleaning experience from time to time or you want to schedule a one-time deep cleaning appointment, we will custom tailor your visit to your expectations and budget. Our regular customers enjoy having us tackle those extra tasks from time to time, such as cleaning the garage, that may not be a part of the regular cleaning schedule. Since we tailor regular cleanings, as well, there may be some things you don’t have done at those times but would want during a deep cleaning, such as cleaning the blinds, washing the baseboards or cleaning the interior of your kitchen appliances. Check out our video to find out more about the best cleaning service in the area! We also perform deep cleaning for businesses, and this is also a service that works well for when you are moving in or moving out of a home or office. In the period of time we have served the Charlotte area with deep cleaning and other cleaning services, we have earned the trust of more than 130 regular customers, and we’re still growing! Our entire staff is personally screened and trained by our owner to ensure you get quality service and are treated with professionalism at all times. Whether you are interested in deep cleaning or other cleaning services, we welcome your call to schedule an appointment for a free estimate. We look forward to serving your cleaning needs – at home and at work. 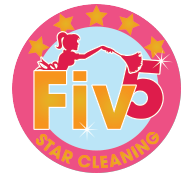 At Fiv5 Star Cleaning, we offer deep cleaning services in Charlotte, Concord, Cornelius, Gastonia, and Mooresville, North Carolina, as well as Rock Hill, South Carolina.